Here we continue from Part 1 of POLITICS, RELIGION, AND THE EXAMPLE OF CHRIST JESUS. In Part 1, we examined the political system. In Part 2, we will consider how Jesus threatened that system. When modern Christians reflect upon the example of Christ Jesus, we usually don’t think of Him as a revolutionary. Even though Jesus entered Jerusalem as a king on a donkey, we accept the doctrine that Christ Jesus died upon cross in payment for our sins, that He had not come to establish a new government. We have the advantage of hindsight. Jesus’ executioners did not know that he planned to be sacrifice. What did they believe? In John 11, the Bible tells us of the death and the resurrection of man named Lazarus by Jesus. In the same chapter, the Bible also tells us how the chief priests and the Pharisees reacted. John 7:40-43 describes the divisions Jesus created among the Jews. Some saw Him as the Messiah. Others did not, but it was not just about miracles. John 2:13-22 describes Jesus throwing the moneychangers and the merchants out of the temple. 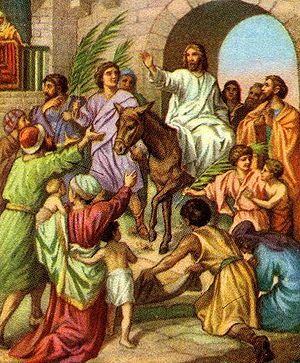 Similarly, Matthew 21:12-17, Mark 11:15-19, and Luke 19:45-48 describe Jesus entering the temple and driving out all those who were buying and selling. In fact, the differences between the timing of John’s Gospel from the others suggest Jesus threw the moneychangers and the merchants out of the temple more than once. Why did He do that? There are several reasons. The temple was the House of God. Even though the moneychangers and the merchants were helping people to pay their temple taxes and selling the people the animals they needed for their sacrifices, they were still using the temple inappropriately for personal gain (from here). The moneychangers were robbing the people. The merchants were robbing the people by charging excessively for animals suitable for sacrifice (from here). In his Commentary, Matthew Henry supports all three reasons. What was the consequence? Observe what Luke had to say about the incident as he describes it. 47 Every day Jesus taught in the Temple. The chief priests, the teachers of the Law, and the leaders of the people wanted to kill him, 48 but they could not find a way to do it, because all the people kept listening to him, not wanting to miss a single word. As we noted in Part 1, Rome allowed Judea to exist as a theocracy. Moreover, the Romans and the Sanhedrin worked closely together. Thus, when Jesus challenged the authority of the priests to operate the temple, He threatened the political system. Because those in authority wanted to retain their power, they considered Jesus a political threat. They wanted Him dead. Because it was the right thing to do — because His Father wanted Him to do it — Jesus did the right thing. When He did so, Jesus challenged the political authorities. Therefore, if we are to follow the example of Jesus, when our rulers do wrong, we must be prepared to correct those who rule over us. This entry was posted in Citizen Responsibilities, Constitutional Government, culture, history, religion and tagged Christ Jesus, Civic Duty, Judea, religion, Sanhedrin. Bookmark the permalink.